Honestly it’s a bit like Janis has walked into the room and MBD is channeling that amazing voice and talent. 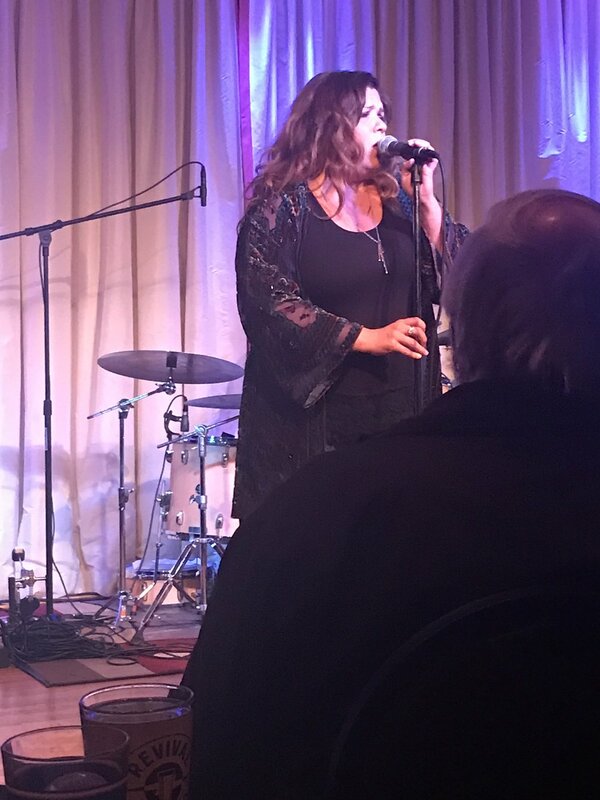 Not only does MBD have the chops to bring a legend to life, she’s also go her own Janis edged voice with her original songs and heart. My first experience with Mary was seeing her at the Bull Run in Shirley MA where she brought an intimate crowd along on a journey through musical history and took us into the future of the Blues with her original songs and unique heart. Starting with many of her own tunes you couldn’t help but to be excited for when the Janis classics would appear, especially after they promotions. But what you might not have expected at first was how much you’d be enthralled with this amazing woman’s personal voice and music. Holding onto the history and putting her own spin on the music she has taken queues from her own life and made beautiful music. A blend of influences has lead her into the music that is uniquely Mary. Influences such as Etta James, Chaka Khan, Mavis Staples, Janis Joplin, Albert King, The Allman Brothers, Ray Charles, Joe Cocker, and Nina Simone, the Cleveland, OH native has garnered attention from the press, awards groups, and bands that has been a major stepping stone into finding her voice and sharing it with the Rock and Blues communities. Having toured with Janis Joplin’s original band she has secured her place as a gifted artist and actress that has gained the seal of approval from the people that knew Janis best. 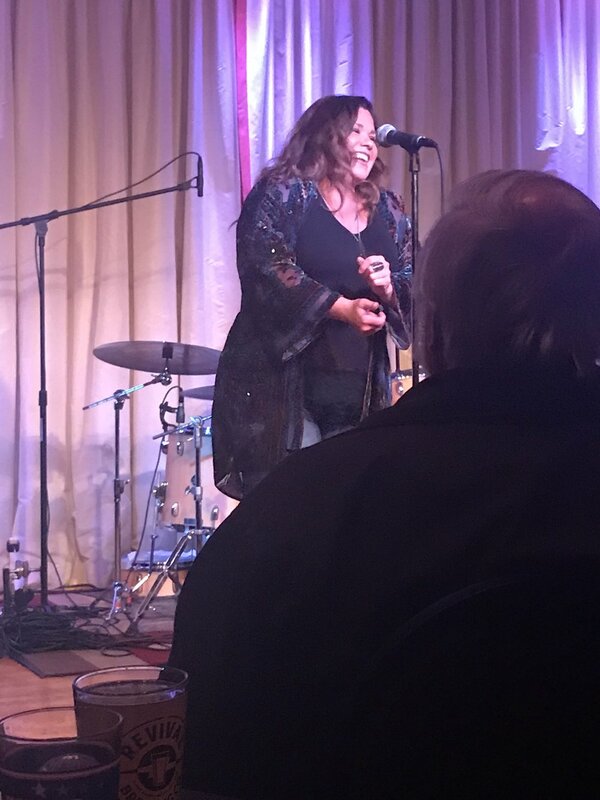 Throughout the evening at the Bull Run she showed that blend of humor, sass, and fun as she talked about being back on the road after some time off with her newborn. With it she brought a renewed energy to the music and performance. Giving 130% to the stage. Bringing her own original music (mixed with the classics) such as “Same Ol’ Blues”, “Gettin’ Stronger”, Trick The Devil”, and “Your Kinda Love” from her 2012 album Wanna Feel Somethin’ she will simply amaze you with each note. I couldn’t help but wonder at the time if lightning would strike twice so I HAD to check her out a second time when she next visited 9 Wallis in Beverly MA. Sitting in the packed intimate venue she once again commanded the stage like it was built just for her. Leading the audience through the correct and classic lyrics for “Piece of My Heart” you got to share in the fun of a concert audience participation that one would have expected from the 60’s. Lightning definitely struck twice and with all the energy the skies can offer. With “Getting Stronger” you get a history of a strong woman moving on into her life after a strained past relationship and recovery. Not just Rock or Blues, Mary has a perfect voice and skill for Jazz and Soul. With a modern blend of Jazz/Soul you are instantly moved in your heart and seat with songs such as “Wonderwall” and “Real Thing”. Be sure you keep an eye out for Mary Bridget Davies coming to your area. This is an artist and evening of beautiful music you do NOT want to miss. In the meantime be sure to check out her music and relax into the groove of an artist that will transport you in time and in state of mind.